The edges of this sycamore leaf are turned upward into a cuplike shape, the typical sign of exposure to dicamba. Cypress trees line Reelfoot Lake, in northwestern Tennessee. Some of them show signs of damage from an herbicide that farmers sprayed on nearby soybean fields. Mike Hayes owns Blue Bank Resort. His great-grandfather began taking visitors on tours of the lake in the 1880s. 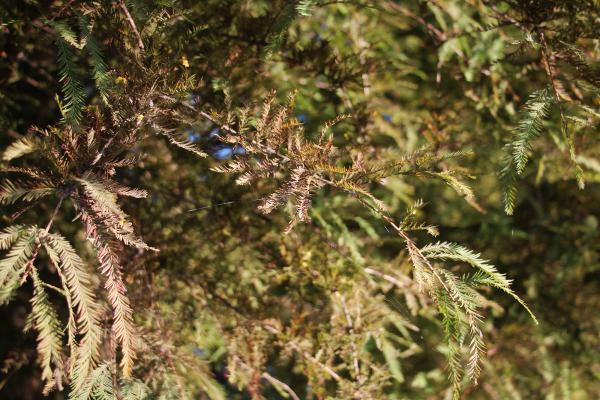 Prematurely brown needles on this cypress tree show evidence of exposure to dicamba. They were here in 1812, when the lake was formed: A cataclysmic earthquake shook this area, the land dropped, and water from the Mississippi River rushed in and covered 15,000 acres of cypress forest. Yet these trees survived and became a home for fish and birds. "The fishing's around the tree; the eagles nest in the tree, the egrets. So much wildlife all out in the trees," he says. "The trees define Reelfoot Lake." Last year, though, Hayes noticed that the trees didn't look right. Their needles were turning brown. Some were curling. "Something was going on that never happened before," he says. Neighbors were talking about it. Everybody had a theory: disease; drought; insects. "They thought of other things, but when it came down to it, it was a drifting chemical," Hayes says. The chemical is called dicamba. It's a weedkiller, and it blew in from nearby soybean and cotton fields. Similar things have happened across the Midwest and Mid-South over the past two years. From Mississippi to Illinois, people have noticed trees or other kinds of wild vegetation that show signs of damage from dicamba. The Environmental Protection Agency now has to decide whether farmers should be allowed to keep using this chemical in quite the same way. The agency's previous approval expires at the end of the year. Many farmers have come to rely on dicamba. In the area around Reelfoot Lake, the vast majority of farmers use the chemical, says Jason Hamlin, a consultant who works with farmers in west Tennessee and southeastern Missouri. Farmers have turned to dicamba because it still works; many other herbicides don't anymore, because weeds have become resistant to them. Dicamba is a new option for farmers growing soybeans and cotton because the big seed company Monsanto, which is now owned by Bayer, created new genetically modified versions of these crops that can tolerate dicamba. This means that farmers can spray this chemical and the weeds die, but the crops are fine. Farmers got permission to spray dicamba on their new, tolerant crops two years ago. "Nobody wants it to get on their neighbor's crop, the tree line, the lake, the state park, whatever; nobody wants that. But they have to have a tool to control their weeds or they can't farm, you know?" says Hamlin. Dicamba has long been known as a chemical that's hard to control. It can evaporate from the soil or plants where it was sprayed, and that vapor can drift for miles. But both Monsanto and the chemical company BASF developed new "low volatility" formulations to solve this problem. The problem resurfaced, though. In each of the past two years, drifting dicamba has been blamed for damaging more than 1 million acres of neighboring crops, mostly soybeans. It has provoked fights between farmers and set off a huge controversy. Receiving less attention, so far, is the damage to wild plants. Few people were watching them quite so closely. "I've never really paid attention to trees," says Tom Burnham, a farmer in Mississippi County, Ark. "But in the last two or three years I've actually started looking at trees in people's yards and everything, and you know it's amazing, once you start looking, what you see." So I started looking. Greg Allen, an agricultural extension agent with the University of Tennessee, took me on a little drive down a country road a few miles from Reelfoot Lake. We passed a big field of soybeans on our right. On our left was woodland. I didn't really know what to look for. I asked Allen what caught his eye. He rolled down his window and gestured toward a nearby tree. "Well, one thing that would've caught my eye is that sycamore, and them itty-bitty leaves," he says. Normal sycamore leave are big and flat; these are curved into the shape of small cups, a sign of exposure to dicamba. "And you can see it goes all the way to the top," he says. "That's a 30- or 40-foot tree." I realize that the leaves of almost every sycamore tree nearby show similar symptoms. Other trees, though, do not. Dicamba affects various plant species very differently. Based on what scientists have observed this past year, the tree species that seem most sensitive to dicamba include sycamore, cypress, Bradford pear, and white oak. The amount of damage also changes from place to place. In Iowa, forestry experts haven't seen many signs of exposure to dicamba. In Arkansas, though, a scientist that state officials hired to conduct a survey saw dicamba-damaged trees in every town that he visited across the northeastern part of the state. It's now up to the EPA to decide just how much protection these trees need, balancing that against the desire of many farmers to keep using dicamba. There are billions of dollars at stake. Monsanto is arguing that the government can't take this tool away from farmers. If used properly, the company says, dicamba doesn't hurt anything but weeds. 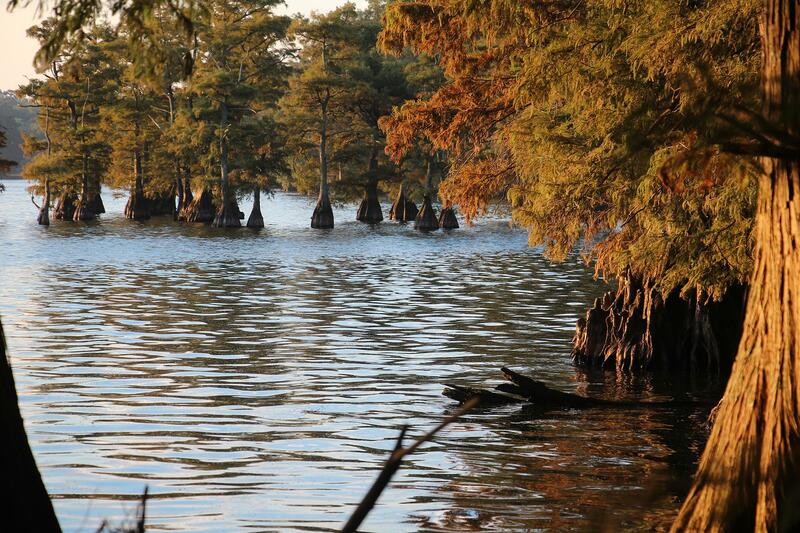 Back at Reelfoot Lake, Hayes says his prematurely brown cypress trees are evidence that this isn't true. He thinks state politicians are ignoring the problem — in part because they're scared of Monsanto. "The problem with dicamba is, there's so much money behind it," he says with a deep sigh. "I've never seen so many people run from a problem so bad in my life. It really hurts to lose what we're about to lose." Dicamba hasn't killed the trees in the lake, but Hayes is convinced that the chemical has weakened them. And new cypress trees can't sprout and grow in the water. The trees that make Reelfoot Lake what it is — if they die, they're gone forever, he says. This past summer, from Mississippi to Illinois, people noticed a curious phenomenon - trees with curled-up leaves or browned needles. That damage apparently came from a chemical, a weed killer that's now popular among farmers. And the Environmental Protection Agency now has to decide whether farmers should be allowed to keep using it. NPR's Dan Charles has the story. 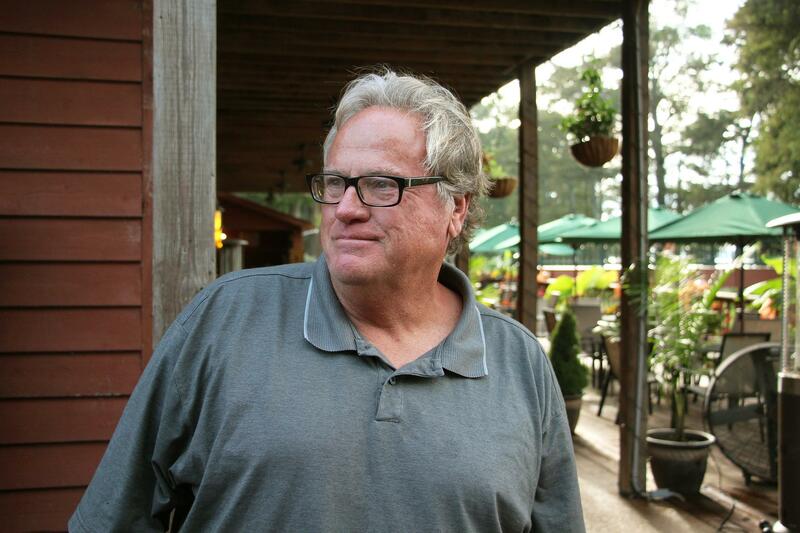 DAN CHARLES, BYLINE: Mike Hayes and I are sitting on the patio of Blue Bank Resort, the business he runs alongside Reelfoot Lake in Tennessee. The sun's going down. The lake is beautiful. But what really catches your eye is the trees standing right in the water along the edges of the lake. Hayes tells me these are 200-year-old cypress trees. MIKE HAYES: The cypress trees out in the lake - thousands of them. And they're all the trees that was here when the lake was formed. CHARLES: It was formed by a cataclysmic earthquake in 1812. The earth shook. The land here dropped. And water from the Mississippi River rushed in and covered 15,000 acres of cypress forest. Yet these trees survived and became a home for fish and birds. HAYES: You know, the fishing's around the tree. The eagles nest in the tree, the egrets. So much wildlife all out in the trees. It just - the trees define Reelfoot Lake. CHARLES: Last year, though, Hayes noticed the trees didn't look right. The needles were turning brown. HAYES: Like a burnt brown, curling - you know, something was going on that never happened before. CHARLES: People started talking. Everybody had a theory - disease, drought, insects. HAYES: They thought of other things. But when it came down to it, it was a drifting chemical. CHARLES: A chemical called dicamba. It's a weed killer. And it was blowing in from nearby soybean and cotton fields. JASON HAMLIN: Ninety percent of the growers use dicamba. HAMLIN: Yes. That's an estimate. I mean, there's nothing exact, but it's a vast majority. CHARLES: This is Jason Hamlin. He's a crop consultant, helps farmers around here decide what seeds to plant, what pesticides to use. Most have turned to dicamba just in the past two years because weeds have become resistant to other herbicides. And the big seed company Monsanto, now owned by Bayer, created a new generation of genetically modified soybean and cotton plants. They can tolerate dicamba, which means farmers can spray this chemical and the weeds die, but the crops are fine. HAMLIN: They have to have a tool to control their weeds, or they can't farm, you know? CHARLES: But dicamba has a problem. Sometimes it vaporizes in the heat and drifts across the landscape. It's damaged other crops, caused battles between farmers, lots of controversy. What's received less attention, though, is the damage to wild plants, the vines in random ditches or trees. A few miles from Reelfoot Lake, I take a little drive with Greg Allen, an agricultural extension agency with the University of Tennessee. It's a country road. On our right - a big field of soybeans. On our left - woodland. So you have to tell me what catches your eye. GREG ALLEN: OK. Well, one thing would've caught my eye is that sycamore and them little bitty leaves. CHARLES: Sycamore leaves normally are wide and flat. These are turned into the shape of a cup. It's the signature of exposure to dicamba. ALLEN: And you see it goes all the way to the top. That's 30-, 40-foot tree. CHARLES: I realize almost every sycamore tree here shows this kind of damage. Other kinds of trees, though, don't. And it varies from state to state, too. In Iowa, forestry experts haven't found much damage. 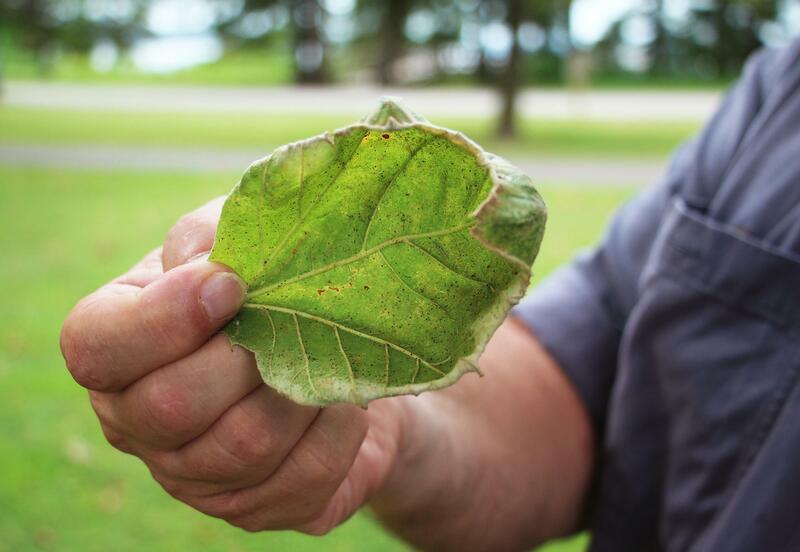 In Arkansas, though, a scientist that state officials hired to conduct a survey found signs of dicamba on trees in every town that he visited. And the EPA has to decide by the end of the year what to do about this, whether to let farmers keep using dicamba on their crops. There are billions of dollars at stake. Monsanto's arguing the government cannot take this tool away from farmers. They need it. If used properly, the company says, it doesn't hurt anything but the weeds. Back at Reelfoot Lake, Mike Hayes says his brown cypress trees show the opposite. He thinks state politicians are ignoring the problem partly because they're scared of Monsanto. HAYES: The problem with dicamba - there's so much money behind it. I've never seen so many people run from a problem so bad in my life. I mean, it really, really hurts to lose something like we're about to lose. CHARLES: Dicamba hasn't killed the trees, he says, but with time it could. And new ones can't sprout and grow out there in the water. If these cypress trees die, they're gone forever. Dan Charles, NPR News. Transcript provided by NPR, Copyright NPR.